The summer season is upon us and commercial and industrial enterprises are considering the months ahead. Some of you will undertake a new project in late June, July, August or September. Others will be using these months to plan an up and coming building project, renovation, or expansion. Whichever the case, you have your ear to the industry as it relates to the province you’re building (or about to build) within. And there is a lot to talk about as the temperature rises here in Alberta. Today, we take a look at some of the top stories as they may relate to you and your business. We’re all aware of the economic challenges faced by the province over the past year. That it not news at this juncture. However, given the tenacity of the construction industry in Alberta, contractors are finding opportunities to increase their revenue in other ways, without having to raise costs of construction (which impact you). One of the ways this is happening is through heavy equipment sharing app technology. Some are calling the concept the Uber of the construction industry. It provides a singular portal, a resource pool of heavy machinery for hire in one’s given area. Apps such as Getable (U.S. based) have started the trend. The concept allows larger contractors the ability to maximize their return on investment for heavy equipment fleets by renting out their idle equipment to parties in need, thus earning income during uncertain times. Smaller contractors who can’t invest in expensive equipment are able to access the necessary inventory for their contracts, here and now. It’s a win-win situation for all parties involved, businesses in need of construction included. B2B sharing apps of this nature that are available to Alberta include Yard Club and AnyQuip. 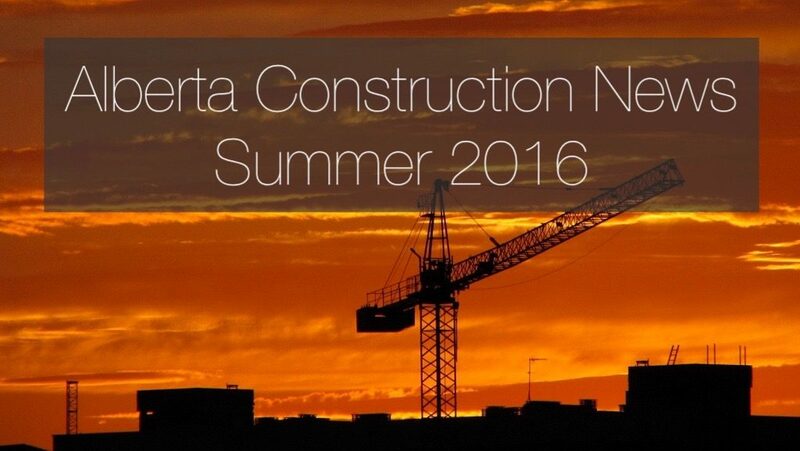 The early summer is peppered with good news for the construction industry. Namely with reports that Alberta Infrastructure is mandating prompt pay for construction companies and contractors. For starters, it is now specified that payment must be received within a maximum of 30 days after the initial receipt of the application for payment. In addition, during disputes, any amounts that are not in dispute shall be paid while disputed amounts will be resolved over the next invoicing period, while holdback funds are to be released once the assigned portion of the work is complete. Publication of the date of payment to prime contractors will also be made available so that suppliers and subcontractors are aware, resulting in full transparency which benefits all parties involved. This change will serve the Alberta construction industry as a whole and ultimately provides clarity for commercial, industrial, and municipal interests securing the services of contractors. With the country’s largest green building conference just concluding commercial, industrial, and municipal parties are noting that the demand for green building isn’t slowing down. LEED certification is one thing, but compliance with Alberta’s energy efficiency requirements under the National Energy Code for Buildings (NECB – section 9.36) is necessary. The federal government has set renewable energy targets and has announced ambitious plans to address climate change, with billions of dollars being directed to Alberta as early as this year through to 2030. Local contractors will be brought in to build wind farms and solar constructs while those versed in green building and LEED will receive the bulk of future contracts. While the economy is not back yet, signs point towards recovery. Consumer-driven industry in particular (commercial businesses take note) is on the way up. Consumer optimism is on the rise with oil prices surging back to form. The Canadian dollar is slowly getting better but remains at a comfortable rate that is drawing hoards of U.S. and overseas visitors to Alberta and putting money right into the local economy. Don’t think big businesses aren’t taking notice. Heavyweight IKEA has just announced a near $30 million construction expansion investment in Alberta. Commercial businesses can take that as a serious vote of confidence. Stay tuned as we continue to deliver news that will help guide your next commercial, industrial, or municipal building project in Alberta.